Managing risks in a Salesforce environment. Across industries, companies are turning to Salesforce to create unique customer value. As businesses adopt Salesforce to deliver connected customer experiences, they bring more sensitive, private and confidential data into the cloud than ever before. At Salesforce, Trust is our #1 value. In addition to our trusted platform, we have introduced Salesforce Shield — a set of controls for companies to better manage internal security and compliance risks. 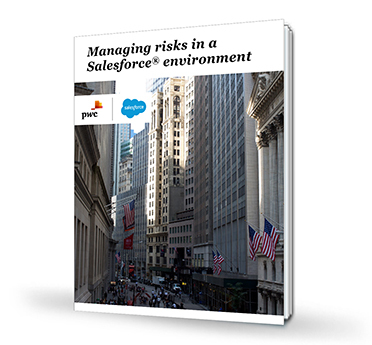 Read this joint study written by PwC and Salesforce experts on how you can manage risks in a Salesforce environment using Salesforce Shield.